Reviewer and site founder Phil Askey was careful to point out that the D40 wasn’t just a dumbed down D50 – it brought numerous improvements that happened to be targeted toward a first-time DSLR owner. D40 shoppers weren’t likely to care about the lack of support for older lenses, and the resolution was more than enough (who needs 8 megapixels?) for its target audience. Askey did lament the loss of a top-panel LCD (they still haven’t found their way back into Nikon’s entry level) and the fact that shooting Raw + JPEG recorded only basic-quality JPEGs. 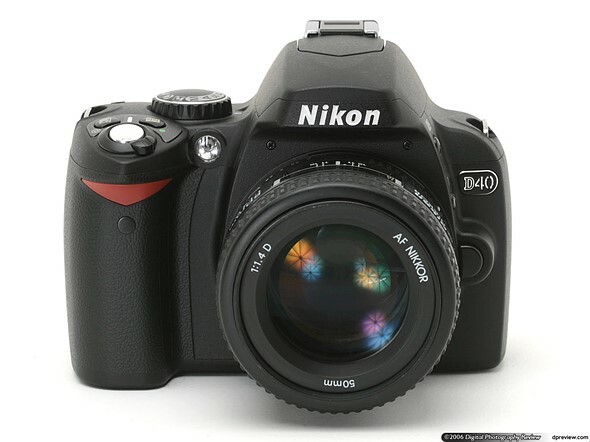 Overall though, the Nikon D40 went down as Highly Recommended, and an excellent value. Did you own the D40? Do you feel old now? Let us know your D40 memories in the comments below.